Malcolm Butler Daniell, of Lookout Mountain, Tennessee, died on April 10, 2016, from Alzheimer’s Disease. He was born March 30, 1935 in Eagar, Az., to Levora Eagar and Charles Butler Daniell. He was raised for the first 10 years of his life by his paternal grandparents in Brownfield, Tx., and was always grateful for the love and structure they provided. Mac graduated as Valedictorian of his class from Santa Cruz High School in Eloy, Az. He attended Texas Tech in Lubbock, where he was a member of Sigma Alpha Epsilon and lettered for the swim team. He went to medical school at Baylor University College of Medicine, where he was president of Alpha Omega Alpha honorary society. Mac completed a surgical internship at Johns Hopkins Hospital in Baltimore before being drafted to the Air Force as a flight surgeon; he served with the 52nd Fighter Squadron in Saudi Arabia and Italy. Mac returned to Baylor to complete residencies in general surgery and cardiovascular thoracic surgery. He and his family then moved to New York, where he served as assistant professor of surgery at Mt. Sinai and chief of cardiovascular surgery at the Bronx V.A. Hospital. Mac went back to Houston to work for Dr. Michael DeBakey at Methodist Hospital while also serving as assistant professor at Baylor. In 1975 Mac and his family moved to Chattanooga so he could start a private practice in cardiovascular thoracic surgery. He was chief of surgery at Memorial Hospital and chaired and served on numerous hospital committees. He was one of the founders of the Chattanooga Heart Institute. He was always impressed with the physicians and staff at Memorial, and he truly enjoyed working with his patients and their families. Mac was a member of the American Medical Association, the Hamilton County Medical Association, and the American College of Chest Physicians. Upon retirement, Mac received the Memorial Healthcare System Humanitarian Award. 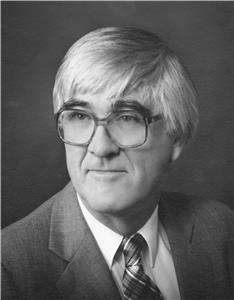 After retirement, Mac served two terms as town commissioner for Lookout Mountain. He enjoyed serving his community and working with his good friend, Mayor Bob Clark. While his children were young, Mac was fond of loading up the family and taking marathon road trips around the United States. He loved to ski in Colorado with his family, and in later years he would meet up with his old buddies from medical school to tear up the slopes. Mac loved music, and he taught himself to play the piano. After retirement he took up golf, and while he was terrible, he loved the game and enjoyed playing with the “elders” at Lookout Mtn. Golf Club. Mac was a member of Good Shepherd Episcopal Church and the Fairyland Club and a previous member of First Centenary United Methodist Church, Lookout Mountain Golf Club, and Lookout Mountain Investment Club. Mac was preceded in death by his parents, his father and mother-in-law Roy and Jean Tatum, his brother, Walter Daniell, and his sister, Sheridan Smith. He is survived by his wife of 57 years, Charlene Daniell, his son, David, of Lookout Mountain, daughters, Elena Snyder (Marshall) of Tulsa, OK, Julia Bean (Chase) of Kansas City, MO, and Dianne Sexton (Dan) of Guntersville, AL, and four grandchildren: Darby Daniell, Bert and Malcolm Bean, and Emory Snyder. Friends, associates, and acquaintances are invited to join in a celebration of Mac’s life on Sunday, April 17, at the Fairyland Club, Lookout Mountain, Ga., 5-8 from p.m.